Zoie is a real-time search and indexing system built on Apache Lucene. Donated by LinkedIn.com on July 19, 2008, and has been deployed in a real-time large-scale consumer website: LinkedIn.com handling millions of searches as well as millions of updates daily. Consumer of a collection of indexing events. 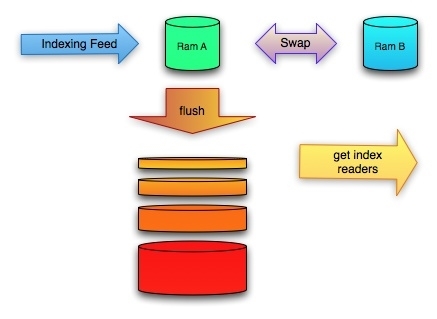 As the name states, a factory produces Lucene IndexReader instances. Deletes and/or updates of documents must not affect search performance. The latest Zoie release is 3.3.0, which can be downloaded here. Following are some of the links you may find useful to get started. We understand documentation is important to an open-source project. An there is never enough of it. This is also an area where we need a lot of help. So any contribution is greatly appreciated!